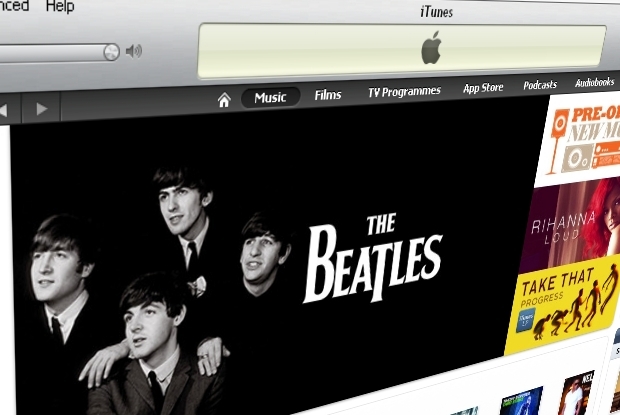 Who said that the agreement that finally put Beatles‘ songs up for sale on iTunes was no big deal? After a week on iTunes, The Beatles’ have sold 450,000 albums and two million individual songs worldwide. Am I surprised? No. The Beatles once again prove why they are the biggest band in the world. Ever. It does not matter that they broke up 40 years ago. Hey, Usher, remember when you said Justin Beiber was a pop craze like the Beatles. Lets see if 40 years from now he is still selling like the Beatles. The massive quantity of songs and albums sold reflect a symbolic jailbreak of music. It is nice to see that people did not acquire the mp3 versions of the songs for their portable music devices illegally. Well, some, some waited to acquire the music legally. So, I guess we can look at the ratings and see what is officially the most popular Beatles’ song and album – according to iTunes sales. Which is off of Abbey Road, my favorite Beatles’ album. iTunes fans have spoken. Now, while the best Beatles’ song is arguably “A Day in the Life” and best album probably is the one with peppers in its name, this is certainly telling. Heck, Abbey Road was the last album released before the Beatles dissolved. Imagine if they kept releasing music. Do you see what I did there? In other news, Axl Rose is suing Activision, makers of the Guitar Hero games, for $20 million. Yawn. Store this in the I don’t really care news bin. Rose, who is already rich, is looking for more money because…well read the article if you are interested. Fleet Foxes, the awesome indie/folk band from Seattle that took the country by storm with their eponymous first album in 2008, is planning on releasing their new album in the Spring of next year. 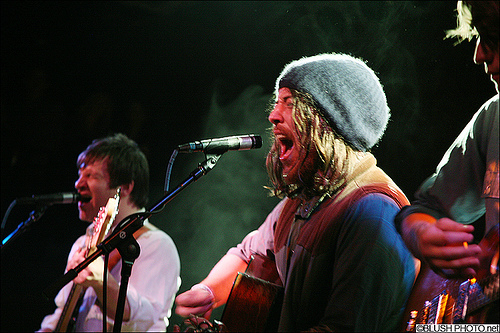 According to lead singer Robin Pecknold, the album is going to travel inwards. I am excited. Fleet Foxes is an excellent modern band that have the attention of true music lovers. Their brand of folk/rock calls back to the 60’s musical tradition and I am eager to hear what is coming next.